What is Qualified Privilege in a Defamation Lawsuit? Employers are always hesitant to give references on employees because they fear a defamation lawsuit. What employers can say about former employees is protected, to a certain extent, by privilege. First, we'll look at the concept of defamation and then at how someone can use qualified privilege as a defense against a charge of defamation, and finally at how qualified privilege affects employers. Privilege is a special legal right or immunity granted to a person or persons. Qualified privilege is an immunity from lawsuit, usually a lawsuit for defamation, for acts committed in the performance of a legal or moral duty and acts properly exercised and free from malice. If malice can be shown, qualified privilege is not a protection against defamation. Defamation is the act of harming the reputation of another by making a false statement to another person. The act of defamation may be a false written statement or a false oral statement, through charges of libel and slander. Libel is the legal term for a written defamatory statement; slander is the legal term for an oral statement. In order for a statement to be defamatory, it must be both false and communicated to others. In the U.S., the person making the accusation of defamation (the plaintiff), the person who has allegedly been defamed, has the burden of proof. Defendants typically have several defenses against a charge of defamation. The truth is said to be the best defense against it; if the statement against another can be shown to be true, then it isn't defamation. The plaintiff must also show that harm has been done to the plaintiff's reputation, usually measured in economic terms. The plaintiff cannot be shown to have consented to the statement (by giving an interview, for example), and there must be proof that the statement was communicated to others. Privilege, or immunity, is also a defense against a claim of defamation. Qualified privilege is usually used in cases where the person communicating the statement has a "legal, moral, or social duty to make it...." The person making the statement must show that he or she has made the statement in good faith, believing it to be true and that the statement was made without malice. One example of qualified privilege is the immunity of members of the press from defamation charges for statements made in the press in good faith unless it can be proven that they were made with malice. Qualified privilege should not be confused with absolute privilege, which protects the person from lawsuit no matter how wrong the action might be and even if the action is committed with malice or an improper motive. An example of qualified privilege is the immunity from defamation for statements made in the course of an employer's duties. 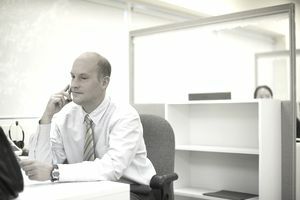 The most common example of the type of qualified privilege is an employer's communications with others as a character reference for a current or former employee. In a 2012 case, the 4th Circuit Court of Appeals ruled against a plaintiff who said that qualified privilege didn't apply, in part, because of the alleged malice of the employer. Disclaimer: The information in this article is intended to be general in nature and is not intended to be legal advice. Qualified privilege in employment situations is handled differently in each state. Employers should check with legal counsel before giving references or information about current or former employees.